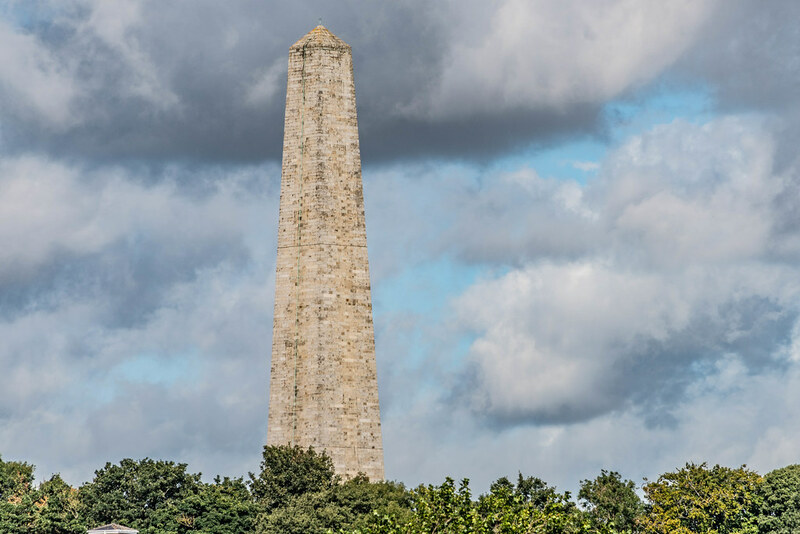 The Wellington Testimonial usually referred to as the Wellington Monument was built to commemorate the victories of Arthur Wellesley, 1st Duke of Wellington. Wellington, the British politician and general, also known as the 'Iron Duke', was born in either counties Meath or Dublin. 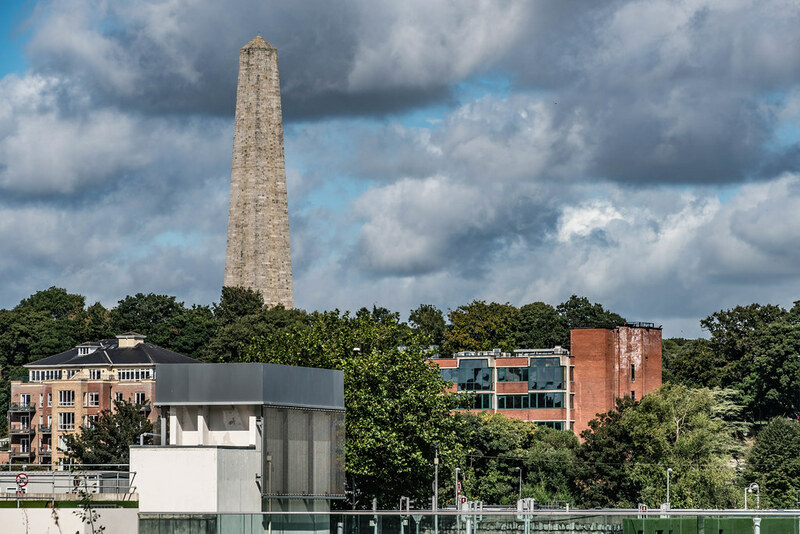 Originally planned to be located in Merrion Square, it was built in the Phoenix Park after opposition from the square's residents. The obelisk was designed by the architect Sir Robert Smirke and the foundation stone was laid in 1817. However, in 1820 it ran out of construction funds and therefore remained unfinished until 18 June 1861 when it was opened to the public. There were also plans for a statue of Wellesley on horseback but the shortage of funds ruled that out. Note: A testimonial is erected to a living person, as Wellington was when construction started.